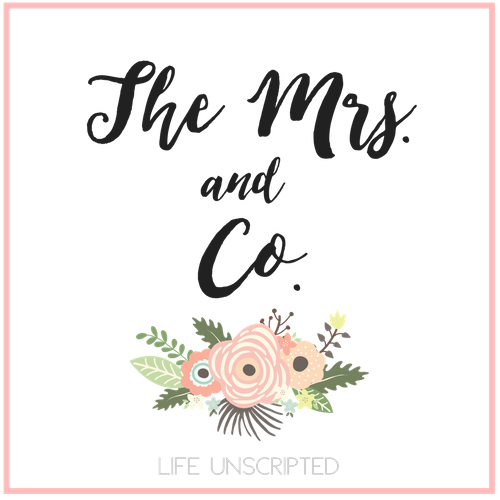 WIWW - The Mrs. & Co. I have to preface this post with a funny story real quick. I sat down last night ready to post my WIWW. 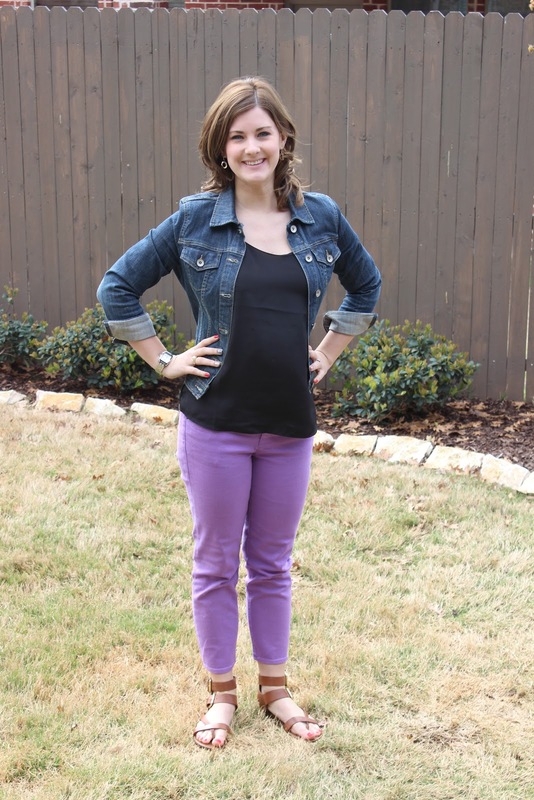 Even my husband said "are you about to post your 'what I wear Wednesday?'" He cracks me up that he knows my little blog posts :) Anyways, I drafted up my WIWW and was ready to post, but for the life of me I couldn't find the WIWW link up at The Pleated Poppy. Surely there must be a mistake. Maybe she's sick and didn't post today? Who knows. So I went on ahead and posted my WIWW without the link up. Then while laying in bed. I figured out why she hadn't posted her WIWW. BECAUSE TODAY IS TUESDAY!! I literally laughed out loud! Let's just put it this way, yesterday was a long day. HA! So moving onto my post. I am a teacher and this week we have our state testing, STAAR, and we were allowed to wear jeans and a school shirt. No one wants to see that, so I took pictures early on Saturday to show off my finds at the J.CREW factory outlet. Their entire store was 50% off this weekend! I had way too much fun! Even got the hubby some work shirts. God knows he needed them! On my shopping spree I bought 2 pairs of pants and 2 shirts. Here is the first combination I made with my new clothes. I know everyone has a jean jacket, but here is my new all time fav! It's from, you guessed it, J.CREW. I haven't bought it yet, but it's on my list! The one I'm wearing is actually from Target. Can you believe it? I've had it FOREVER! had to show the back of the shirt. It's my favorite part! Here are the other items I purchased. 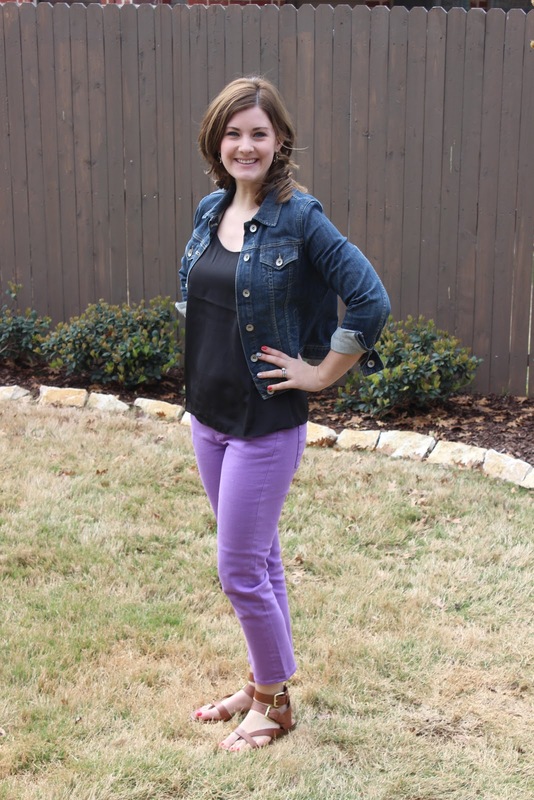 I am also linking up with Allison over at "Get Your Pretty On". Her post today brought me to tears because I feel as a woman we all feel this way! That we are not good enough. That we aren't skinny enough or pretty enough. Women!! We must stop this nonsense! I too play this game with my head and we have to stop. I am not stick thin, I have curves. My chest makes most of my shirts make me look bigger than I am, but ya know what? I'm going to own it. These outfits that I purchased were all sleeveless which is hard for me. I hate my arms! If I could have skinnier arms I would be happy! (probably not because I'd find something else to obsess over). 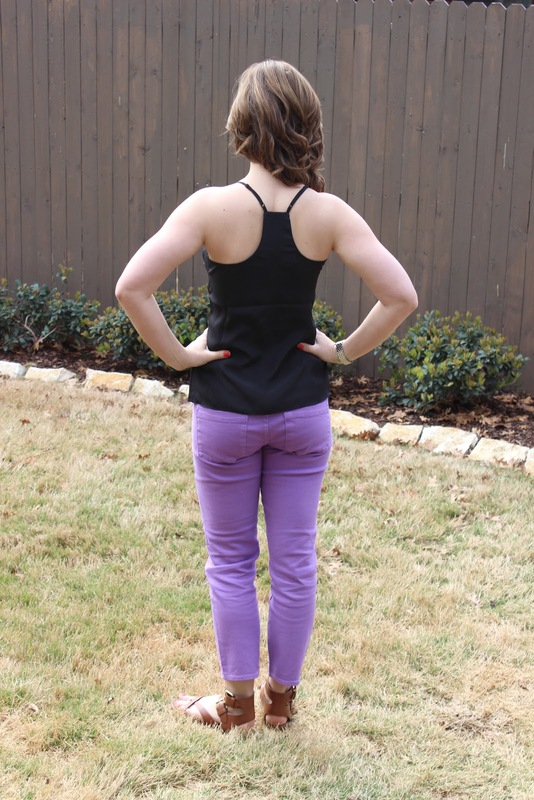 When my husband took the picture of the back of the black shirt and I saw the picture I of course immediately looked at my arms, and ya know what? I was HAPPY with the picture! I have been working out really hard to get in shape and I'm finally seeing definition in my arms! So that is my reason for linking up for "I feel pretty". What makes you feel pretty? I'd love to hear! Funny story! I catch myself doing similar things. Cute outfits! You look great! Hi Ashley, thanks so much for linking up this week and for sharing how you related to the post. We do have to stop beating ourselves up and living up to unrealistic expectations. It's hard to get vulnerable and share struggles but I think we can build each other up and overcome them together. I love your cute denim jacket and your blog and am so happy that know you in blog world!